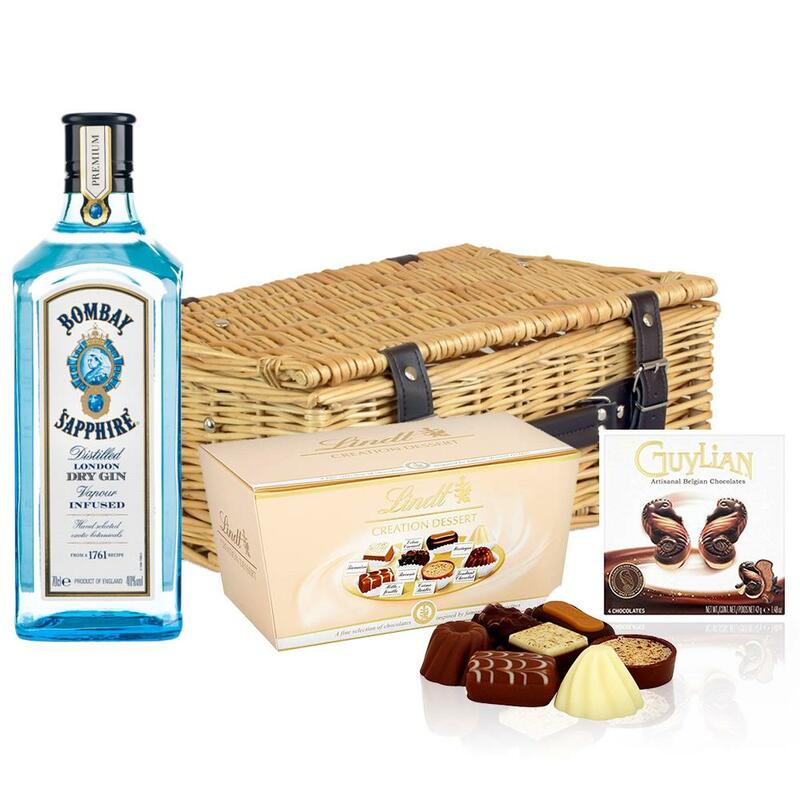 A delightful gift of Bombay Sapphire Gin along with a box of Hamlet Belgian Chocolate Truffles (35g) and Belgid'Or Fine Belgin Chocolates (175g) all packed in a wicker hamper with leather straps lined with wood wool. 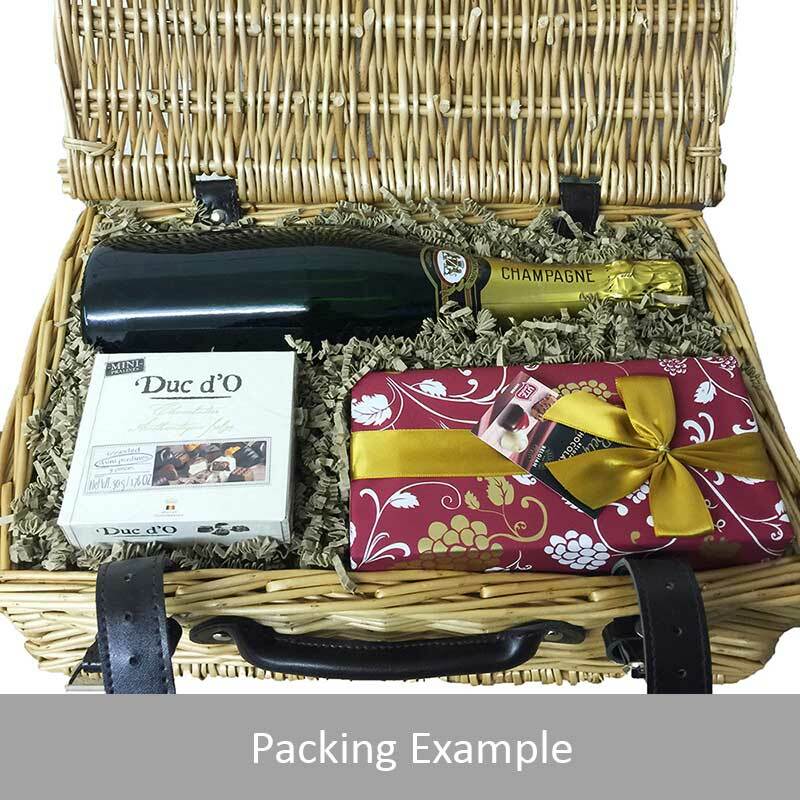 All gifts come with a gift card with a message of your choice. Bombay Sapphire Gin The popularity of gin really took off in the tropical reaches of the British Empire where it was served with tonic. In the evolution of the BOMBAY Original into BOMBAY SAPPHIRE a revolution took place in the way people think about gin. The name Sapphire is a reference to the elusive premium quality of the spirit as well as the striking color of the bottle itself. The distinctive translucent blue glass BOMBAY SAPPHIRE bottle has caught the eye of style-conscious individuals who have quickly become its biggest enthusiasts spreading the word about its unusually subtle yet complex taste.